When you are injured in an auto accident that you did not cause, the insurance agent for the other driver may contact you to discuss the claim. The adjuster may tell you that you can handle the claim without an attorney to save money. He may even tell you that he understands you have been injured and will do everything he can to ensure you receive a fair settlement for your claim. DO NOT believe what an insurance adjuster tells you! Insurance adjusters work for the insurance company. They do not work for you. You need someone working for you who puts your best interests ahead of everything else. 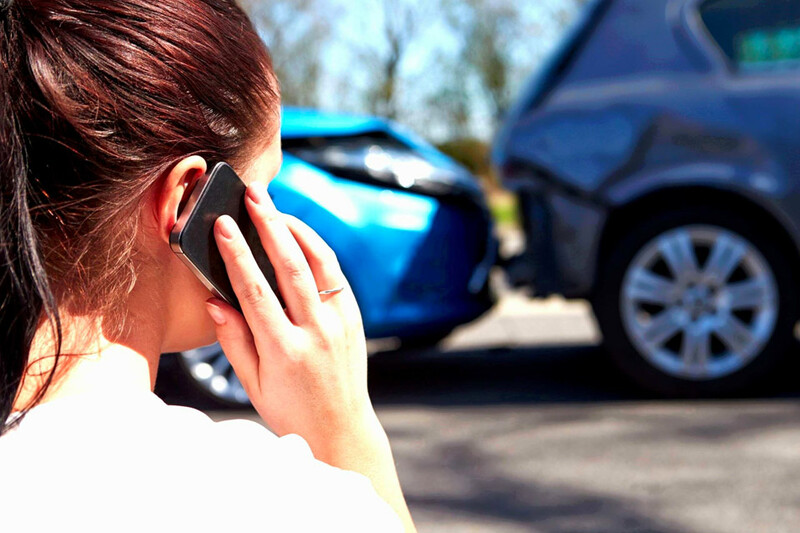 To learn how Pinder Plotkin LLC can help you recover maximum compensation for your car accident claim, call 410-661-9440 for a free consultation with a Maryland injury lawyer. There are many reasons why an insurance company would prefer that you handle your auto accident claim yourself instead of hiring a Maryland car accident lawyer. However, we believe these five reasons are the most common reasons why an insurance adjuster may try to convince you to work directly with the company instead of meeting with the Pinder Plotkin Legal Team. We protect you from tricky insurance tactics. Your insurance adjuster may tell you that you need to sign a medical release form and provide a recorded statement so that he can process your claim. You do not need to do either of these things to begin an insurance claim. In fact, it is not in your best interests to provide the insurance company a recorded/written statement or medical release before meeting with a Maryland auto accident attorney. The insurance company wants to obtain as much information as possible to find something to use to deny your claim or lower the value of the claim. If an adjuster can get you to admit you were in a hurry the day of the accident, the company may allege you were speeding and partially at fault for the wreck. The company may use the medical release to access your entire medical history to search for pre-existing conditions that it can claim is responsible for your injury. We calculate the value of your claim. The insurance adjuster is not going to tell you that you are receiving less than your claim is worth. It is the adjuster’s job to pay as little as possible for your claim. Our lawyers thoroughly document each expense to ensure you receive reimbursement for all costs and expenses associated with the accident and your recovery. In addition, you may be entitled to future damages. The insurance company will not explain this to you either. Our lawyers use the facts and circumstances of the case to maximize your noneconomic or pain & suffering damages. Settling your claim with the insurance company before consulting with our Maryland car accident attorney may mean you receive much less than the claim is worth. We explain all your legal rights and options. Again, the insurance adjuster is not working for you. He will not explain your legal rights or your options for settlement. In fact, some of the statements an adjuster makes could be erroneous and intended to convince you to act against your best interests. You need an attorney to protect your rights and best interests. Furthermore, the insurance company has a team of professionals working to mitigate liability. You need the Pinder Plotkin Legal Team working for you to even the playing field. By retaining our law firm, you have access to experienced and skilled attorneys and a team of legal professionals and experts. We can help you prove fault. Maryland is an at-fault insurance state. Therefore, you must prove another driver or party was responsible for causing the accident before you can recover any compensation for your injuries. Each driver in Maryland is required to have minimum automobile liability insurance to compensate victims who are injured in an accident that the driver causes. However, the insurance company for the at-fault driver may deny liability for a number of reasons to avoid paying your claim. Our Maryland accident attorneys investigate your accident to determine how the collision occurred and to identify the liable parties. In some cases, we may employ experts, such as an accident reconstructionist, to help determine fault. The insurance company understands that you are probably not equipped to investigate the accident and gather evidence. Therefore, if you do not hire an attorney, it may save money by paying very little to settle a “disputed” claim. We can file a Maryland personal injury lawsuit. Maryland’s Statute of Limitations limits your time to file a car accident lawsuit. The insurance company may attempt to delay your claim until the deadline expires. If you fail to file a lawsuit before the deadline, you lose your right to seek compensation from the driver or another party who caused the crash. Do not allow the insurance company to string you along and unnecessarily delay your claim. Our lawyers are seasoned negotiators, but they are also highly-trained and experienced trial litigators. We will not hesitate to file a personal injury lawsuit if that is the best way to protect you and your right to full compensation for injuries. For your free consultation with a Pinder Plotkin LLC accident attorney, contact our law firm by calling 410-661-9440.